A new set of interactive graphics developed by the Visual Capitalist shows that drug overdoses are now the leading cause of death for Americans under the age of 50, above even car accidents and firearms. They dramatize that the United States is home to the highest percentage of drug-related deaths in world. Unless this trend is reversed, the opioid epidemic is projected to claim nearly 500,000 American lives over the next decade. However, deaths are just the tip of the iceberg. In 2017, there were more than 11 million “opioid misusers” in the United States—equal to the entire population of Ohio. The ripple effects are so widespread that, according to a Brookings report, the increase in opioid prescriptions from 1999 to 2015 could account for about 20 percent of the decline in men’s labor force participation during the same period. The cost of opioid abuse ranges from $10,000 to $20,000 in annual medical costs per person. No wonder the opioid addiction epidemic has been declared a national public health emergency. However, the majority of public attention and resources is focused on law enforcement and treatment, with energy around prevention and recovery. The likelihood of relapse is higher for opioids than for any other drug addiction, with one study reporting that as many as 91 percent of those in recovery will experience a relapse. On a more promising note, the US Surgeon General points to evidence suggesting that approximately 50 percent of adults who once met the diagnostic criteria for a substance use disorder—or about 25 million people—are currently in stable remission (one year or longer). The key is this: Achieving sustainable recovery from a substance use disorder often requires several years and multiple episodes of treatment. The Substance Abuse and Mental Health Services Administration (SAMHSA) describes these essential dynamics of recovery: health, home, purpose (meaningful activities, including those that can produce an income), and community (supportive relationships). “Hope, the belief that challenges can be overcome, is the foundation of recovery,” SAMSHA says. Hope can be nurtured in many small ways, as demonstrated by a nonprofit dental clinic in Concord, New Hampshire. 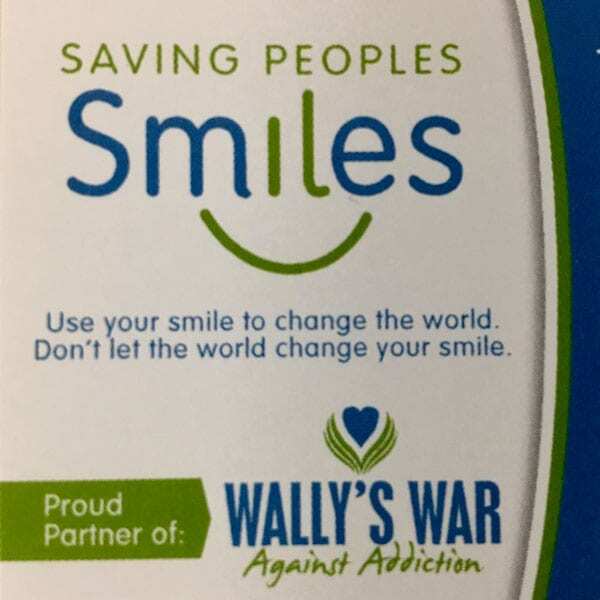 The clinic, called “Saving People’s Smiles,” believes dental health helps the recovery process in more ways than one. It’s not widely known, but many types of drugs damage the teeth and gums. For example, a condition known as “meth mouth” is characteristic of users of heroin, to which many people progress after getting hooked on prescription opioids. It is a condition in which the teeth along the cheeks severely decay, often turning black or worn down to the gums. Opioids specifically can cause users to grind their teeth, which cracks them and damages the jaw. Those who inject these drugs also are at higher risk for many infections, which can trigger the development of oral fungus. And since opioids also reduce pain, the associated loss of sensitivity could lead a person to ignore discomfort from cavities or gum disease. However, the health problems caused by these dental diseases and conditions are not the only consequence. They also can compromise the critical ability to hope. For example, recovering addict and aspiring musician Scott Plante told WMUR-TV in Concord, New Hampshire, that every time he looked in the mirror, he saw the effects drugs had on his body. “I had teeth that were dying over on this side and falling apart,” he said. It was impossible for him to even attempt going on stage with such a poor self-image. Then, Saving People’s Smiles stepped in to help. He now feels comfortable performing songs on stage. “Having the confidence to smile and laugh and to be able to look in the mirror and carry a confidence with yourself, it projects this level of self-love,” he told the TV station. And that is the goal of the clinic—not just healthy teeth. “Our goal and hope is to give [people in recovery] the self-confidence they need to re-engage with family or society and perhaps the workforce,” said certified dental assistant Tammy Talbot.